Some bookies have a VIP club, which they invite some of their more active customers to join, if they think the customers are good customers that provide them with a lot of value. VIP clubs provide more benefits to their members than regular customers by offering more offers, or offering a much higher value on their regular offers. An example of this would be 888sport’s F1 offer. A regular member would receive a 100% price boost up to £5 stake, but an 888sport’s Premier Member would receive a 100% price boost up to £10 stake. Right now, the most valuable VIP clubs are offered by Coral and 888sport. Other bookies such as Betway and Leovegas offer VIP clubs, too, but are far less valuable. Coral keeps their VIP club’s benefits a secret, and there is no way to find out what special offers they do for VIP members. The only way to find out is to obtain a VIP membership and see what they offer you. Please note that these offers may have changed or removed or may not be what you get when you have a VIP membership. These offers are really incredible, and get boost your profits by up to £900 per month easily. However, Coral’s VIP is notoriously hard to obtain and hard to maintain as well once you have it. Coral divides their VIP membership to 4 tiers, Bronze, Silver, Gold and Platinum. The higher your tier, the more benefits you enjoy, but obviously they are harder to get. Coral has listed down the requirements to achieve their VIP status on their website here. Essentially, to achieve a VIP status by Coral, you would have to get “Priority Points” from Coral. The more points you have, the better the tier you would get from Coral. You would also have to meet a minimum deposit amount to your account. To achieve the lowest tier (bronze), you would have to get 1,500 Priority Points, as well as meet a £1,000 monthly deposit amount. Every single bet you place on their sports page earns you points (no minimum odds). You get 2.5 points for every £10 you stake. 1,500 points would mean you need to stake £6,000 per month, as well as deposit £1,000 per month. To get the silver tier, you would need 2,500 points, which would mean staking £10,000 per month as well as meeting their £2,000 per month deposit. If you are betting £20 - £50 on average on Coral so far, suddenly banging £200 - £500 on a single bet would most likely stand out to them. It doesn’t matter that you weren’t placing your bets on arbs, you would still be very suspicious to Coral that you are suddenly upping your stake by such a large margin. So you may want to try to slowly increase your stakes from £20 - £50 till £200 - £500 in a few weeks or months and then try for VIP. Note that even if you managed to hit your stakes and monthly deposits, your account will be referred to a trader before you get your VIP membership, and the trader will review your account activity and decide whether to allow you to get a VIP membership. The amount of qualifying loss you would incur from placing £6,000 worth of bets needs to be factored in! If you averaged 98% matches on the Oddsmatcher on all your £6,000 worth of single bets, you would still lose £120 in qualifying losses. That qualifying loss goes up to £200 if you are attempting to go for their silver tier membership. However, £120 or £200 is not much when you consider how much more value you are getting in VIP promotions when you manage to get their VIP membership. The problem is getting gubbed from Coral when you are halfway through your £6,000 stakes, which will result in you losing your qualifying losses for nothing. Coral’s VIP is an extremely valuable membership to have. However, it is very difficult to obtain it without getting gubbed. Many matched bettors have tried to get to £6,000 stakes and have been gubbed, even without betting on arbs. Some have even tried to bet on 95% matches and below on the Oddsmatcher, but still have been gubbed. Many matched bettors have complained that it was a total waste of their time. However, those members who have gotten it reported it to be very well worth their time, and they can make up to £900 per month on Coral’s VIP membership alone. 888sport also includes a mobile game that Premier Players can play on Wednesdays to Sundays between 6pm to midnight. If you manage to hit the targets on their mobile game, they reward you with a random offer, such as bet £10 get £10, bet £10 live get £10 live free bet, or casino credits. Unfortunately, unlike Coral, there is no way of knowing how they select who to join their Premier Players. I am personally a Premier Player. I signed up to 888sport a while ago, but didn’t bother much with them as they haven’t got any good offers, or at least not any that seemed too appealing to me back then. After a good while, I decided to try out their 88th minute refund offer as well as their “stake refunded if your horse falls” offer. I staked at least £1,000 in that week, and I got an email inviting me to join their Premier Players right away, after that one week. It seems that not everyone qualified for Premier Player in the same way. Other matched bettors have reported that they have bet with 888sport for months and months consistently and still haven’t got their invitation. 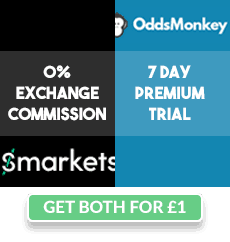 Other matched bettors report they received their invitation by betting £300 - £400 per week for a month or two. What you can try to do to qualify for Premier is to try to either mug bet with them or try to get their “beaten by a head or less” horse offer. Try to stake around £300 - £400 per week, as that seems to be how many Premier Players got their invitations. It can be very easy to bet on horses on 888sport as they update their odds slower than other bookies. If the exchange odds were to drop, more likely than not 888sport’s odds would still stay the same, creating an arb for about 30 seconds to a minute. If you are quick enough, you can get a little profit from this. Only attempt this by betting on the clear favourite, and 5-10 minutes before the race to avoid suspicion. 888sport’s Premier membership offers a lot of offers weekly that are easy to do and can earn you up to £200 - £400 per month risk-free easily. Premier Player status is also easier to maintain, as they’re no monthly minimum stakes or deposits required. I would definitely recommend trying to get a Premier Player status by placing bets with them regularly. There are no real benefits to being a VIP on Betway and Leovegas. Matched bettors that are VIP members on Betway report having no extra promotions for Betway. Matched bettors that are VIP members on Leovegas report that all they’ve received are phone calls that offer 5 free spins with wagering requirements, which are very low value and not worth the time to get.